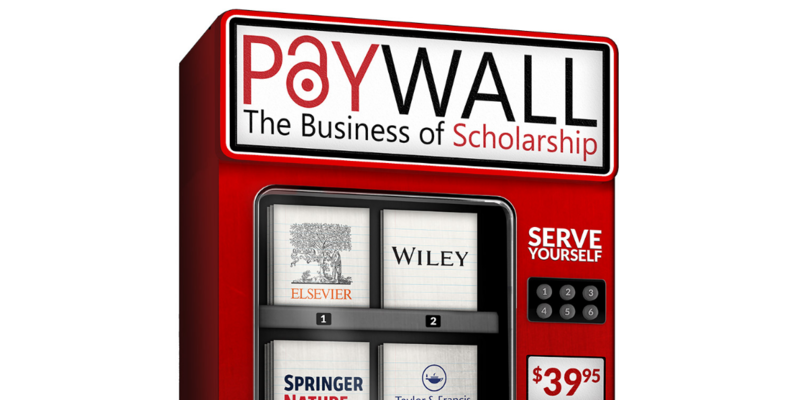 In celebration of Open Access week 2018, you are all invited to a screening of Paywall: The Business of Scholarship on Thursday, October 25, 2018 from 12:00pm - 1:30pm in LL06 B&C. The documentary focuses on the importance of open access. It questions the rationale behind the $25.2 billion that flows annually into for-profit academic publishers, examines the 35-40% profit margin associated with the top academic publisher Elsevier and looks at how that profit margin is sometimes greater than some of the most profitable tech companies like Apple, Facebook, and Google. Open Access Week is an annual scholarly communication event promoting free and open access to scholarly research. This worldwide event has its roots in the 2007 National Day of Action for Open Access.